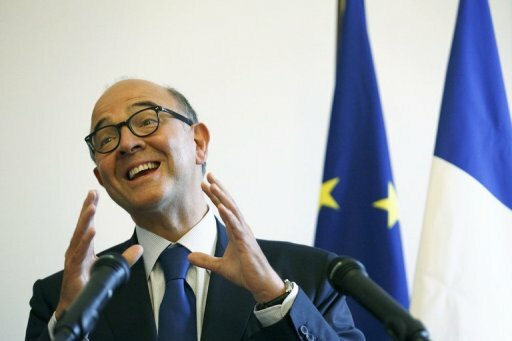 France’s public debt jumped in the second quarter of the year, official data showed on Friday as the finance minister pledged to bring its public deficit back to within EU limits by next year. The debt, which includes national, local and welfare budgets, reached 91 percent of gross domestic product, according to the national statistics office INSEE. French debt has climbed by 43.2 billion euros ($55.8 billion) since the end of March, when it represented 89.3 percent of GDP, to a total of 1.833 billion euros at the end of June. Under European Union rules, member states are supposed to limit their debt to 60 percent of output or be reducing the ratio structurally towards this ceiling, and run public deficits of no more than 3.0 percent of GDP. Several European Union and eurozone countries face a huge task in controlling their public finances, notably in Greece, Spain and Portugal where extra austerity measures are biting hard, but also in Italy and Ireland, and in non-eurozone Britain. Finance Minister Pierre Moscovici pledged on Friday to get the French deficit back to that level by next year as he prepared to present the 2013 budget to a cabinet meeting. Many economists and members of the country’s new Socialist-led government believe the 3.0-percent target is unrealistic as France strives to get growth back on track. The national statistics office INSEE said Friday that the French economy, the second biggest in the eurozone, posted zero growth in the second quarter of 2012, its third consecutive quarter of stagnation. The government and the International Monetary Fund both expect economic activity to expand by 0.3 percent this year. INSEE said the latest debt increase resulted from a rise of 51.3 billion euros in the national government’s debt over the three months from April through June. The new French government took over in mid May, and has been pushing growth as a way to generate revenue and reduce debt, which could become a matter of concern for investors who buy sovereign bonds. French growth depends in large part on domestic consumption, which faltered in August, INSEE data showed. Household spending declined by 0.8 percent on a monthly basis, following rises of 0.4 percent in June and July.